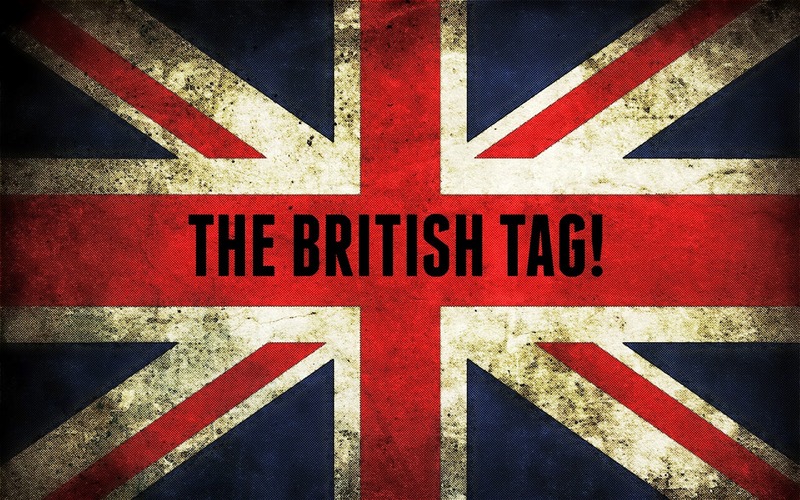 Touch Of Belle : The British Tag! I have seen this tag quite a lot recently and seeing as I'm British I thought I would give it a go! I very rarely drink tea but If I do I have 2 sugars and lots of milk! Ooh, tough decision but if I had to choose it has to be the roast potatoes, I love them! Chocolate digestive, definitely, I love it when the chocolate part starts to melt..mmm! I love reading so I would say that! I don’t really know much Cockney slang but apples and pears? I'm not really sure, I like Uncle Tom's Mint Balls? I also love Jazzies, the chocolates with sprinkles on! Fox and Hounds, where I used to live there used to be a pub called the Fox and Hounds! The Queen? Haha or Jaqueline Wilson! My favourite shop would be any highstreet shops! Anything by Queen or The Beatles! I like it, Don't love or hate it just in the middle! I did this tag a while back, I love reading other peoples answers. I love jazzes too, thats all I used to put in my pick and mix when I was little!